2017 Winners for Second Annual HSVMA/OSVS Compassionate Care Scholarship! 2017 Winners for the Second Annual HSVMA/OSVS Compassionate Care Scholarship! HSVMA is proud to announce the winners of the second annual HSVMA/OSVS Compassionate Care Scholarship for veterinary students. 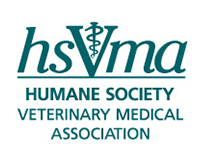 HSVMA launched the award last year, in partnership with Dr. Gary Block, co-owner of Ocean State Veterinary Specialists in East Greenwich, Rhode Island, and HSVMA board member, to offer three scholarships to veterinary students who have excelled not only in their veterinary curriculum, but in their dedication to animal welfare, as well. Dr. Barry Kipperman, HSVMA California State Representative and board member, is also supporting the scholarship program to help us identify three outstanding veterinary students who deserve recognition for their herculean efforts in the animal welfare arena. "I sponsor this scholarship to recognize outstanding achievements on behalf of animal welfare, as well as to inspire students to advocate on behalf of animal welfare," says Dr. Kipperman. "It was difficult to choose just three students this year, as all of them have been outstanding advocates for animals." This year the HSVMA received more than 40 applications-almost double the number of applicants from last year. Applicants were from veterinary schools across the United States and Canada. The applications revealed some truly amazing work being done by veterinary students nationwide and beyond. Dr. Block says of this year's winners, "These three students are prime examples of how young veterinarians are going to continue to transform our profession and make a difference in the lives of animals. Knowing that they are going to be strong advocates for animal welfare initiatives makes me proud to include them as members of the HSVMA now and, hopefully, for the remainder of their careers." Like many veterinary students, Adrian had a special bond with her own pets growing up. It wasn't until she was working with a free clinic for the homeless that she understood the strength of that bond. "As a volunteer at the Portland Animal Welfare Team, a free clinic for the companion animals of houseless people, I interacted with clients that had seemingly nothing but would give everything for their companion animal." The power of the human-animal bond led her to volunteer at her first RAVS clinic in San Carlos, Arizona. During the clinic, she witnessed the strong human-animal bond again, and realized that she wanted to make a difference in the lives of people by nurturing that bond through her work as a veterinarian. She has since participated in two more RAVS clinics and we hope to have her come back as a volunteer veterinarian. Adrian's desire to advocate not only for the human-animal bond, but also for those animals without a voice, has led her to pursue shelter medicine. 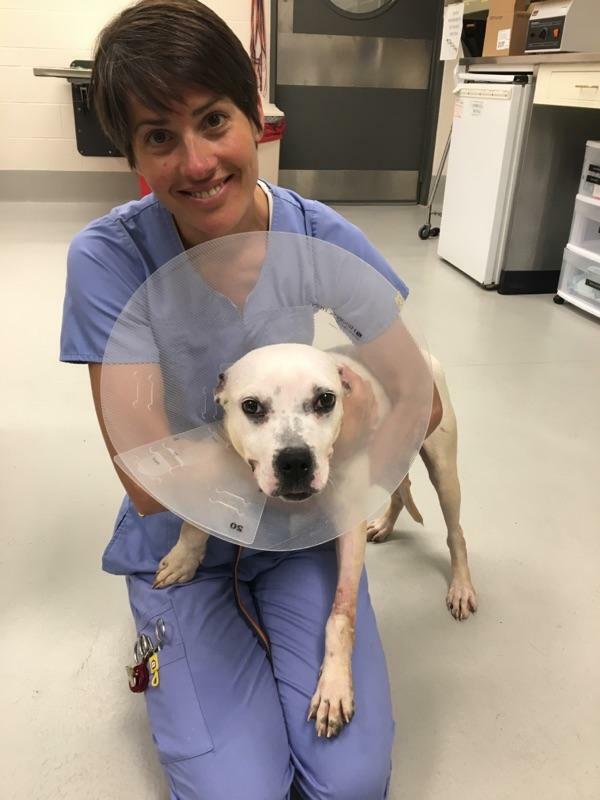 According to Dr. Emily McCobb, Clinical Associate Professor of Anesthesiology at the Cummings School and Director of the Shelter Medicine Program, Adrian's work at the Luke and Lily Lerner Spay Neuter Clinic "has been one example of how she continues to engage with her passion to help shelter animals." She also serves as Co-president of the Shelter Medicine Club and is a student representative of the HSVMA. It is clear that Adrian's path advocating for animals started before veterinary school. While an undergraduate, she served on the Reed College Student Senate, a group of students responsible for reviewing and revising policies that directly affect the student body. As a senator, she initiated the revision of the school's animal policy, which had not been addressed since the 1980's. Wildlife care has also been a passion of Adrian's. As an animal care intern at the California Wildlife Center in Calabasas, California, she learned the basics of rehabilitating injured and orphaned wildlife for release back into the wild, with a focus on neonates and the importance of enrichment for successful release. She further honed her skills at the Peninsula Humane Society and SPCA in Burlingame, California, where she worked as a wildlife technician. Adrian also spent time as an animal care intern at the Cleveland Armory Black Beauty Ranch in Murchison, Texas, where she cared for domestic and exotic animals who have found sanctuary from abuse or neglect situations. There is no doubt that Adrian has what it takes to become an outstanding veterinarian. 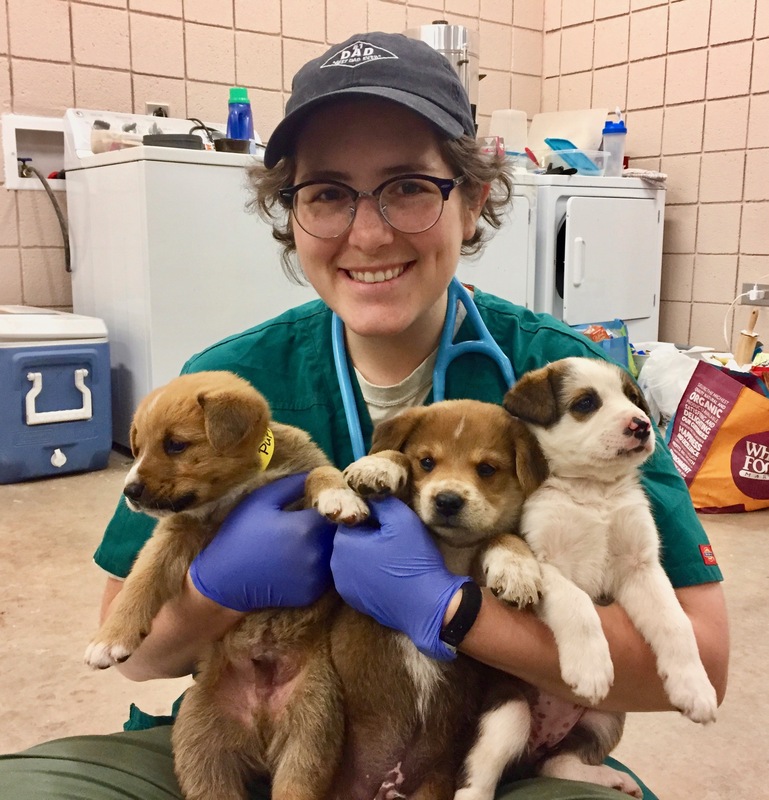 Dr. Kirk Miller, Clinical Instructor for the College of Veterinary Medicine at Oregon State University, said of her time spent as a volunteer at the Oregon Humane Society: "She combined hard work and empathy to provide top-notch care. Her ability to provide great care under busy, sometimes stressful, conditions has served her and her patients well." Shakera's passion to serve animals and their communities is evident through her extensive travel with organizations that work in underserved areas. She has traveled to Nicaragua with World Vets to help with spay/neuter and wellness for small and large animals. Shakera also volunteered at a non-profit, large animal clinic in Cairo, Egypt. There she performed pregnancy checks and mastitis tests on cattle and even fed infant chimpanzees. Currently, she is planning to travel to Bolivia with the Christian Veterinary Fellowship to serve the community through the provision of medical care for small and large animals. 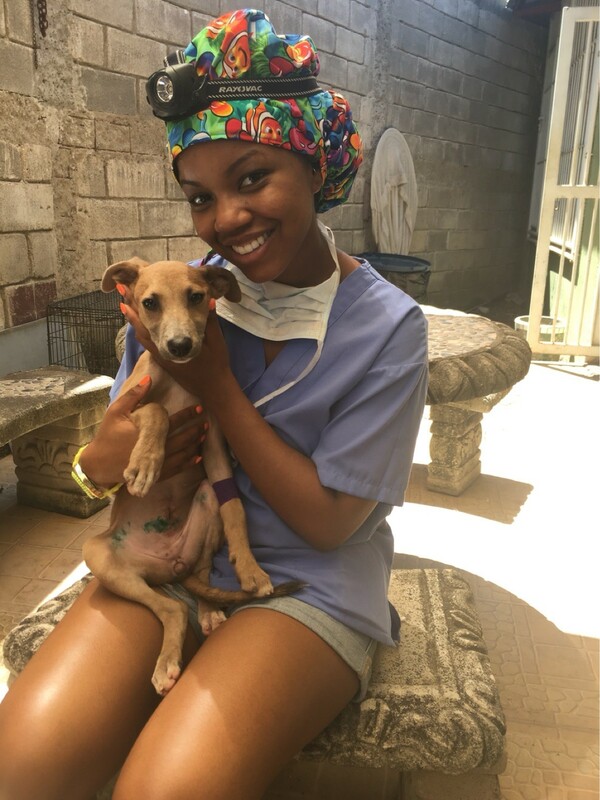 Shakera says that her travel has been the highlight of her journey into veterinary medicine. "These moments have been priceless and provided an eye-opening cultural experience. It brings me great satisfaction to see the smiles on people's faces when I'm able to help their animals." Working as an intern at the USDA Animal and Plant Health Inspection Services served to strengthen her commitment to animal welfare and broaden her experience as a future veterinarian. Her internship provided her with hands on training and enforcement of the Animal Welfare Act. She inspected animal facilities to make sure they were upholding federally established standards of care defined by the act. Related to her work with APHIS, she also interned at the Great Apes exhibit at the Smithsonian Zoo in Washington, D.C. where she was further able to apply her knowledge by providing routine inspections on the physical and psychological well-being of the resident primates and offering enrichment. Dr. Ebony Gilbreath, Assistant Professor of Pathobiology at Tuskegee University College of Veterinary Medicine, tells us, "I have no doubt that Shakera will be a positive asset to society and to our profession, as she has already started laying down the foundation to help and to serve." Sabine's first career was as a middle and high school science teacher, and she intends to utilize her teaching experience after she finishes veterinary school. "I believe to improve the health and well-being of animals, it is essential to educate the people who interact with them," she says in her application. Prior to admission to veterinary school, Sabine worked at a clinic in Brooklyn, New York, which treated shelter animals who had suffered from abuse, neglect, and lack of adequate medical care. Seeing the need for veterinarians who can act as a voice for the animals who end up in shelters, she decided to pursue shelter medicine. As a veterinary student, she is an officer of her school's Shelter Medicine Club and was a director for the Southside Healthy Pet Clinic, a low cost vaccine clinic for low-income residents of New York. Her skill in shelter medicine led her to be chosen for a summer job working for the American Samoa Department of Agriculture Veterinary Clinic. There she helped the island's veterinarian manage the population of street dogs. Since many of these dogs had shown signs of leptospirosis, Sabine took and submitted blood samples to seek out the prevalence of this disease within the population. Dr. Elizabeth Berliner, Assistant Clinical Professor and Janet L. Swanson Director of Shelter Medicine at Cornell University College of Veterinary Medicine, writes, "Sabine's classmates and colleagues also think very highly of her, and recently they awarded her with the John Cummings Award, which is the highest student honor in the college for service and compassionate work. I have no doubt that Sabine will continue to reflect the best of interventional shelter and outreach work in her future endeavors." Click here to read about last year's winners of the HSVMA/OSVS Compassionate Care Scholarship. The 2018 HSVMA Compassionate Care Scholarship application will be available next year. Contact [email protected] with any questions about the program.